A relative newcomer to Maryland, Greater Baltimore Medical Center was founded in Baltimore County in 1965 and currently has 281 beds. It sees 26,700 inpatient visits and 60,000 emergency room visits per year. It sits on 72 beautiful acres off North Charles Street. GBMC employs 1,300 physicians and has numerous departments including obstetrics & gynecology, general surgery, and oncology/cancer care. GBMC is growing larger, aided by the more than $50 million it raised for its 50th anniversary in 2015. GBMC's has satellite facilities throughout Baltimore County in Perry Hall, Hunt Manor, Owings Mills, Hunt Valley, Texas Station, and Parkton. 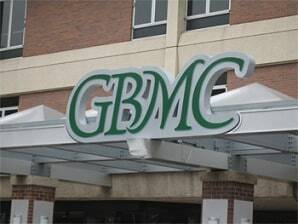 GBMC is located in Baltimore County. This county is typically considered to be conservative in personal injury cases. Still, our lawyers believe the right cases can be successful anywhere, and we have had a lot of success in both settling cases and at trial in Baltimore County. Some attorneys try to force lawsuits against this hospital into Baltimore City Circuit Court. One argument that has been used lately in cardiac cases is that GBMC and Johns Hopkins entered into a 2007 agreement whereby the Hopkins physicians manage the hospital's cardiac unit. Many of these types of rulings are discretionary, to some degree, with the ruling judge. While there is an argument that has GBMC “has carried on a regular business in Baltimore City," it still may be a challenge to get malpractice claims transferred to Baltimore City if the negligence occurred at GBMC and the plaintiff is not a City resident. GBMC is typically defended by the lawyers at Goodell, DeVries, Leech & Dann, LLP, and Waranch & Brown, LLC. They are all excellent malpractice lawyers, and well respected in the legal community. Do they lose malpractice cases? Absolutely. But to beat them, you need both a good case and good plaintiffs' lawyers. 2016: Abrogast v. GBMC: Back surgery malpractice case involving a misplaced screw. You can get details of this case here. 2015: Kirby v. GBMC: Failure to timely diagnose and treat stroke claim that included Johns Hopkins as a defendant. 2015: Hill v. GBMC: Birth injury case involving a brain injury from deprivation of oxygen. 2014: Jones v. GBMC: Negligent delivery during labor. 2014: Thornton v. GBMC: Infant wrongful death in childbirth. 2014: Andrews v. GBMC: Surgical negligence. 2014: Siebert v. GBMC: Infection. If you believe that you have a medical malpractice lawsuit against Greater Baltimore Medical Center or any other health care provider in Maryland, contact our medical malpractice lawyers at 1.800.553.8082, or send us a free internet request for consultation.